Stone Soup Shakespeare tackles tragedy with a new production of Julius Caesar, Shakespeare’s famous work about power, loyalty, and the cost of idealism. The play chronicles the events leading to Caesar’s murder and the chaotic and bloody struggle for power in the wake of his death. Set amongst a sparse post-apocalyptic landscape, this dynamic and stripped down production features a cast of five bringing to life the conspirators, soldiers citizens, and ghosts of Ancient Rome. PS Here's a special note to those in-charge of younger fans! 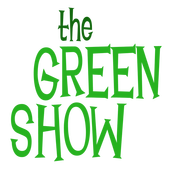 From Elizabethan Traditions to modern day fun The Green Show continues in 2016. This year's Green Show is brought to you by: YOU! At various locations we'll be working with local actors and community groups to create a pre-show that's different at each location. If you have a group that would be interested in send a message to us at info@stonesoupshakesepare.com in how to get involved!